On Thursday 16 November more than 250 innovative startups from all over the Netherlands came to Rotterdam to do business. 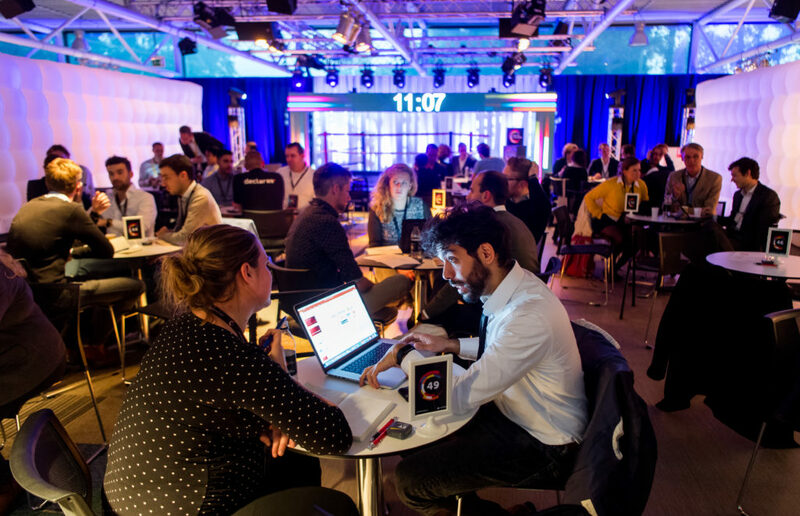 Get in the Ring The Netherlands gives startups this day the opportunity to make deals with the more than 70 multinationals, NGOs and governmental organizations through 600 speed dates. It is also the chance to raise investments with more than 100 investors present. Get in the Ring The Netherlands is organized by the Erasmus Centre for Entrepreneurship (ECE) and supported by the City of Rotterdam and EY. The event took place for the fifth time in Rotterdam and is part of the Global Entrepreneurship Week, a week in which thousands of events take place worldwide that focus on entrepreneurship. The startups are looking for customers and strategic partners for the growth of their company. ”There are a lot of opportunities for this during Get in the Ring The Netherlands. The 70 multinationals and governmental organizations present are happy to be available as customers, suppliers or partners,” says Martin Luxemburg, director of the ECE. Based on requests from the startups, more than 600 speed dates with the participating organizations took place on Thursday. The effect of these conversations appears to be significant; 65 percent of the speed dates result in a follow-up conversation that in some cases even lead to a collaboration. “It is still too early to say to which collaborations the conversations of this year will lead, but the City of Rotterdam is a nice example. Based on their participation with Get in the Ring last year the City of Rotterdam has started a project with a startup in solar panels that have been placed at test locations in the city,” says Martin Luxemburg. For the startups the speed dates were not the only activities; they were also challenged to qualify for the evening program to ascend the stage and to pitch their startup for a 700-strong audience (read: possible customers, partners or talent) in the ring. No competition without jury members, this year the Champion jury members were the founder of international software company WeTransfer – Bas Beerens, founder of scale-up YoungCapital -Rogier Thewessen, and entrepreneur Janneke Niessen. The startups do not step in the ring alone, but will compete against an opponent in their own weightclass. Dementia technology startup Kozie took the win in the lightweight category against SeraNovo. Kozie develops multi-sensor technology that enhances the perception of people with dementia, so that demented people can recover memories from their childhood through a music pillow or music rug. The middleweight winner is LABFRESH after a strong pitch battle against Somnox. LABFRESH sells clothing of a special material that does not stain and smell. The heavyweight winner Convious offers a platform where people can buy tickets and determine the price themselves. Convious was in the ring against Felyx. 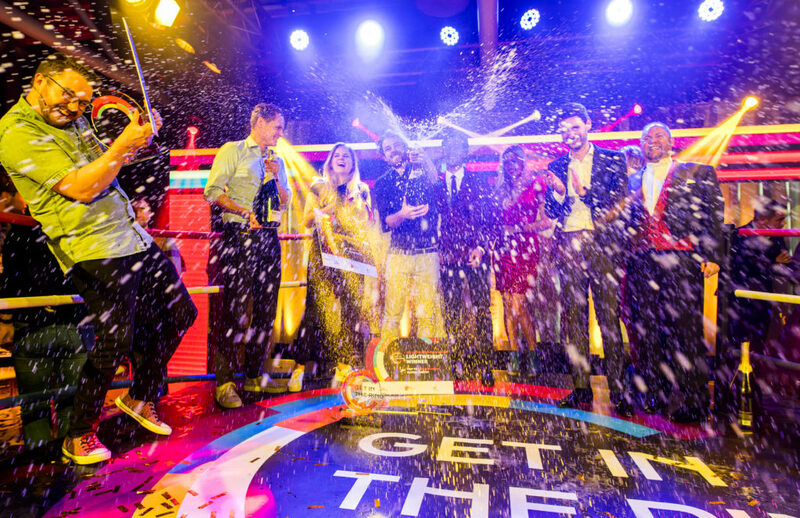 The three winning startups receive a ticket to the Global Meetup of Get in the Ring. In addition, they receive 1 year access to the EY Finance Navigator. This Finance Navigator is the first corporate startup of EY and was launched yesterday during the event. 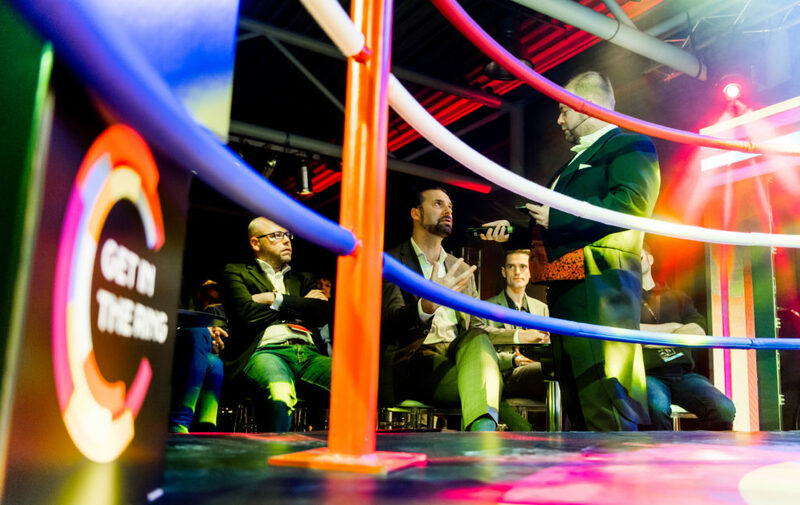 Together with winners from other Get in the Ring events around the world, these 3 winning startups will meet again in Cascais, Portugal, from 30 May to 1 June during our Global Meetup 2018. Entrepreneurs, investors and corporates will join the Global Meetup, which is entirely dedicated to establishing international connections.